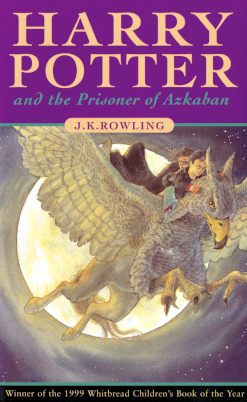 Description Of One Of The Main Characters: Harry Potter is a good and extremely powerful wizard. He has a lightning like scar in his face. Voldemort kills Harry’s parents, James and Lily Potter, when Harry was a young child. Whom I like and Why: I like Remus Lupin as he is always kind to the students and is noted as ‘The Best Teacher Of Defence Against Dark Arts’. He makes Harry understand that it is not Sirius who helped Voldemort kill James and Lily. But it is really Peter Pettigrew who acts as though he does not know anything and puts the blame on Sirius Black. Lupin also teaches Harry how to fight a hundred Dementors so that Harry can play Quidditch without their disturbance. Whom I dislike and Why: I dislike Snape as he always wanted ‘Defence Against Dark Arts’ job. He hates Lupin, Harry, Ron and Hermione. He is very partial to Slytherin by giving off points for nothing and cheering them during the Quidditch match(a teacher is not supposed to support anyone house particularly). He is the potions master of Hogwarts. Setting/Theme Of The Story: Harry Potter, after having the most terrible holidays with the Dursleys, starts his third year with best friends Ron and Hermione. A terrible man from the Azkaban has escaped. The atmosphere is tense. He hears everybody say that Sirius Black, the prisoner, is after him. Dementors, the guards of Azkaban, roam out in the castle of Hogwarts in the attempt to catch Sirius. Harry gets his Marauder’s Map as an early Christmas gift from Fred and George. He comes to know that Sirius had once been James’s best friend. He also comes to know that Moony(Remus), Prongs(James), Padfoot(Sirius) and Wormtail(Peter) were best friends and they made Marauder’s Map when they were all young. Harry finally understands that Sirius is not the right prisoner of Azkaban and Peter Pettigrew , the real prisoner who ought to be in Azkaban has run away. Sirius thanks Harry as he saved Sirius from the Dementors performing their kiss. Harry comes to know that Sirius is his godfather. He returns back to No.4 Privet Drive with the Dursleys who seemed to be horrified at the thought of Harry having a godfather. This looks like a better summer for Harry. Part I Enjoyed The most: I enjoyed the part when Harry blows up Aunt Marge into a balloon. He escapes from the Dursleys and catches the Knight Bus to Diagon Alley. Different Ending: Black is saved from the Dementors. Pettigrew is caught and the Dementors perform their kiss. Pettigrew still lives unaware of what is happening and not having any memory.He could no more support Voldemort. Harry starts staying with Sirius. All are happy that Sirius is no more in danger.